Dr. Zein Obagi is a board-certified practicing Dermatologist, world-renowned skincare expert, award-winning inventor, educator and author. He was the first to conceive new skin as a science, and coined the term Science of Skin Health which defined skincare to include creating and maintaining healthy skin. It came as no surprise that Dr. Obagi then authored several best selling books including Obagi Skin Health Restoration & Rejuvenation (1999) and The Art of Skin Health Restoration & Rejuvenation: The Science of Clinical Practice (2015). Dr. Obagi earned his medical degree from Damascus Medical School. He completed his residency in pathology at the William Beaumont Hospital in Royal Oak, Michigan, and completed a one-year residency in obstetrics at the Henry Ford Hospital in Detroit. He is certified by the American Board of Dermatology, is a Diplomate of the American Academy of Dermatology, and Fellow of the American Medical Association, and American Academy of Cosmetic Surgery. Dr. Obagi is also a member of the American Society of Dermatologic Surgery, the International Society of Dermatology, the Society of Investigative Dermatology and the American Academy of Aesthetic and Restorative Surgery. Founded by Dr. Obagi in 2007, ZO Skin Health, Inc. was created to provide physicians and patients with the world’s most innovative and effective skin health solutions. As Medical director of ZO Skin Health, Dr. Obagi has created products with technologically advanced ingredients and even more effective formulations, designated into two categories: ZO® Skin Health and ZO® Medical. 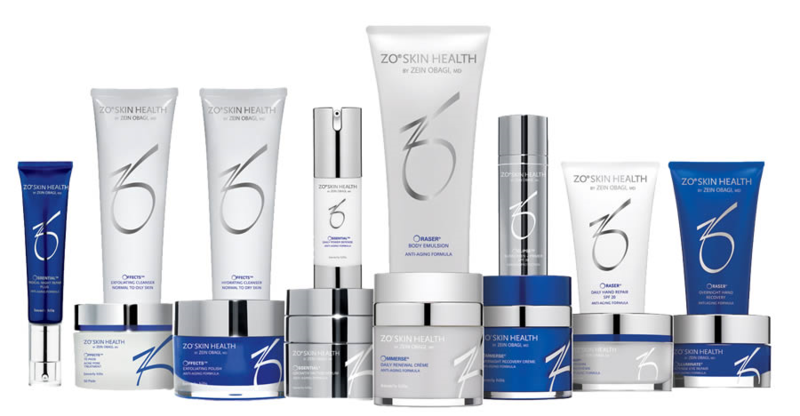 ZO® Skin Health products maintain the results of therapeutic treatments and provide effective daily skincare and protection from the environment, while ZO® Medical products have been optimized to treat a range of skin disorders and chronic condition.